When it comes to security, sometimes the first thing that comes to mind isn’t your mobile app. But in today’s technological world, security of any kind, for any reason, is a good thing. Real estate professionals especially need to think about securing mobile devices, applications and the like to protect the privacy of their clients’ confidential information. Here are four mobile app development security dangers to watch out for. 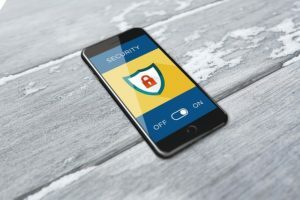 Servers that an app is accessing (whether they’re your own or the servers of any third-party system your app may be accessing) should have security measures in place to prevent unauthorized users from accessing data. Weak server controls are becoming a problem for many real estate app developers. Here at SnApp Real Estate, we are an experienced real estate mobile app development company that promises to build you high performance, secure real estate mobile apps. You can trust that our apps will keep the most important information secure. With a SnApp mobile app, we can help you streamline your business and connect with clients easier. This entry was posted in iphone development, Mobile App Development, real estate apps and tagged iphone development, mobile app development, real estate apps. Bookmark the permalink.